If you have multiple entries on your schedule page Tags can be a powerful tool to help you keep them organised and to present specific events to your customers. Filtering the public page to present specific events to your customers e.g. 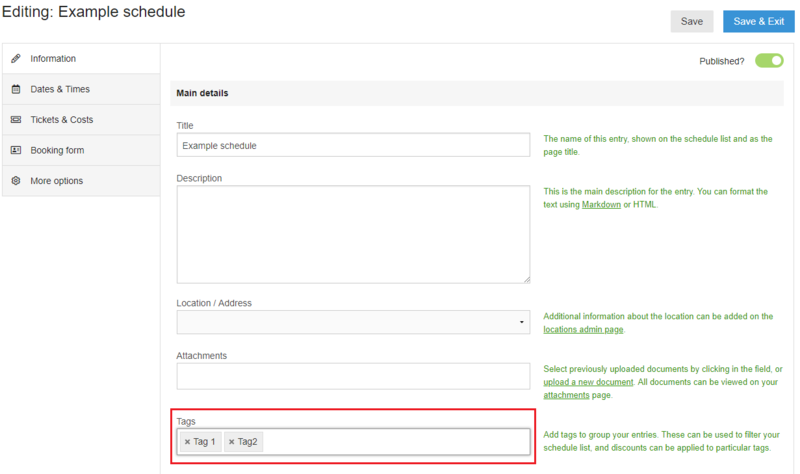 each event in your schedule which you have tagged to feature a particular activity.